If you are working during the summer or have a child who would benefit greatly from spending a lot of time interacting with other children, a holiday club could be the answer. Your child will have a daily schedule of fun activities to keep them happy and entertained, and they may even learn something! One type of holiday club is a version of extended childcare for children whose parents work during the holiday period. Such clubs have a variety of activities to keep children busy which are usually onsite and generalised, although on occasion this may involve trips and outings. Holiday clubs are also clubs where children who have a specialised interest are invited to attend, concentrating on a specific activity such as drama, music, football or science. Still others are like summer camps and often take place in a special location, such as on the coast, and involve activities specific to the area, such as wind-surfing and sailing. Some holiday clubs are playschemes run by schools or Councils which offer places to local children (children from outside the borough are sometimes allowed to attend if a space is free, for additional money). These playschemes are always Ofsted-registered, and they centre around primary schools or community centres. Run by playworkers, they provide activities for a broad spectrum of ages and often provide one or two off-site trips a week as well. Most children are between age five and eleven, although sometimes older children aged 12 and 13 come along to help – often they attended the holiday club themselves in the past. The cost is subsidised – it can be as low as £60 per week, or you can pay per day. Most holiday playschemes operate during hours which are best for working parents – 8:30 – 6:00. However, you can often pay less for a shorter day. Some after-school play schemes offer out-of-school clubs during school holidays. Check with the local schools in your area to see what's on offer. Again, they are real value-for-money as they are partially subsidised by the government. The majority of private holiday clubs are similar to kids' camps: they provide activities either on a daily or a residential basis which are suited to your child's specific interests. Such camps are themed (football, music, science, dance, drama) and usually last for a week or more. Does your child have a special interest? A specialised club may be better. Is location a priority? If so, that make take precedence over other considerations. How independent is your child? Your kids may need more one-on-one attention, or they may blossom in a club where children are allowed to take the lead. Is money a priority? Playschemes that are run by Councils or schools are usually the best value for money. You may also be able to use childcare vouchers to pay for other schemes. When you find one that takes your interest, discuss finance. Concessions may also apply. Is the club safe? Check it out beforehand and make sure it is Ofsted-registered or the equivalent and that the teachers or supervisors are all Disclosure and Barring Service or DBS checked (this was formerly known as the Criminal Records Bureau or CRB check). 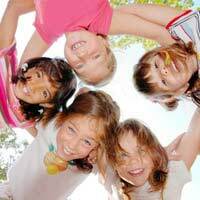 Holiday clubs are a fantastic way to provide summer childcare for your children that is both educational and fun. Talk with your child to determine his or her interests, then see what is on offer. Recommendations from other parents in the area may be your best bet – and your children may be able to enrol with a friend they already know!